Discussion in 'Guitars in General' started by BBBJay, Apr 20, 2016. 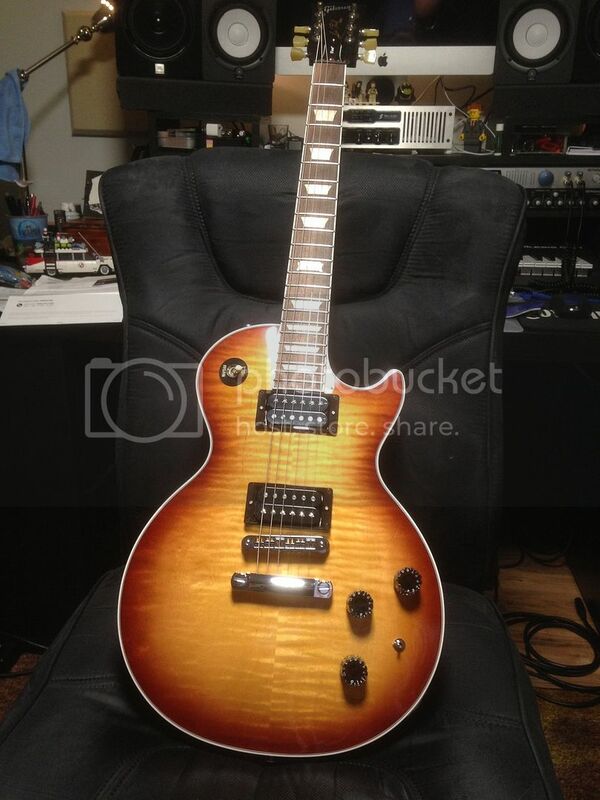 NOS 2014 LP Signature! Removed the pick guard to see the top And I am happy to report the miniETune works perfectly.., unlike my run in with GForce on a 2015 LP. Silver Hand, Brian N, scott944 and 2 others like this. Nice color, sweet flame; beautiful guitar! Enjoy the heck out of that! 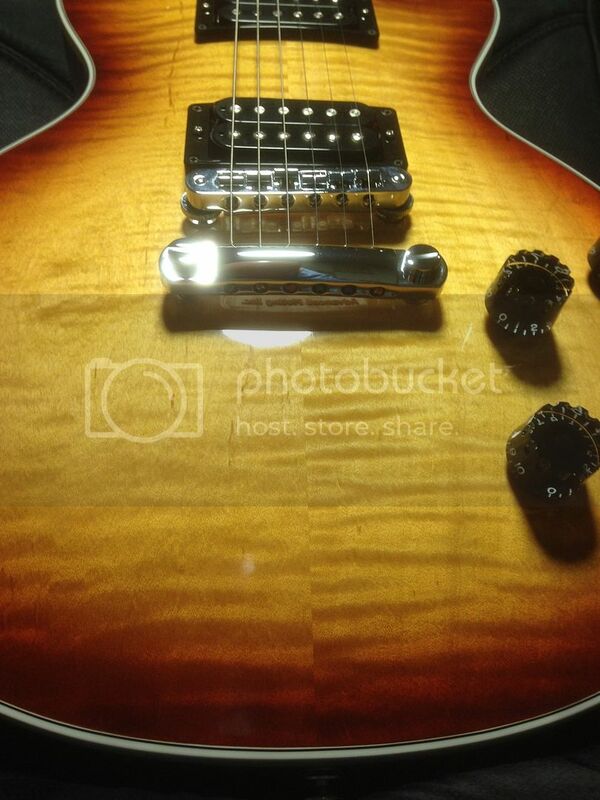 It is a great looking instrument. Thanks! Sounds great really pleased with it thus far after spending 2 hours playing last night. More to come later hopefully!